Do you lack courage? Confidence? This book is for you! When you think of courage and the Bible what do you think of? Probably mostly men. However, in Courageous Women of the Bible the author highlights eleven women who stood the test of endurance and persevered. The author brings us closer to these women in each chapter. I felt like it was a getting-to-know-you session. Very encouraging and easy to understand. I loved how easy it was to read this book. Each chapter flowed nicely. This book could be read individually or as a group study. At the end of each chapter, the Courage Quest posed some thought-provoking questions. Chapter 12 gives the reader a place to journal with questions from each chapter. Such a nice touch to the end of the book. 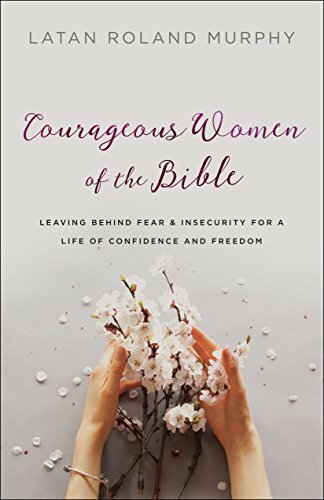 I give Courageous Women of the Bible four stars. I know you’ll enjoy getting to know these eleven women better and they will encourage you to leave behind your fears to be courageous! **Book has been provided courtesy of Bethany House and BlogAbout Blogger Network in exchange for my honest review. It’s good to read about some of the more obscure women of the Bible. Hi, Barbara! Yes, it is and this book brings the women to life. Love that! Thanks for stopping by. You’re in the draw. Hi Gail! You’re right. It sure does. You’re in the draw. Good luck! Looks like anawesome book Dar. Hey, Di. Yes, it is good. You’re in the draw. Good luck! I’ve heard this is a great book. Love studying women of the Bible. So much to learn. Hi, Brenda! Yes, I love reading about women of the Bible too! Brings them to life.